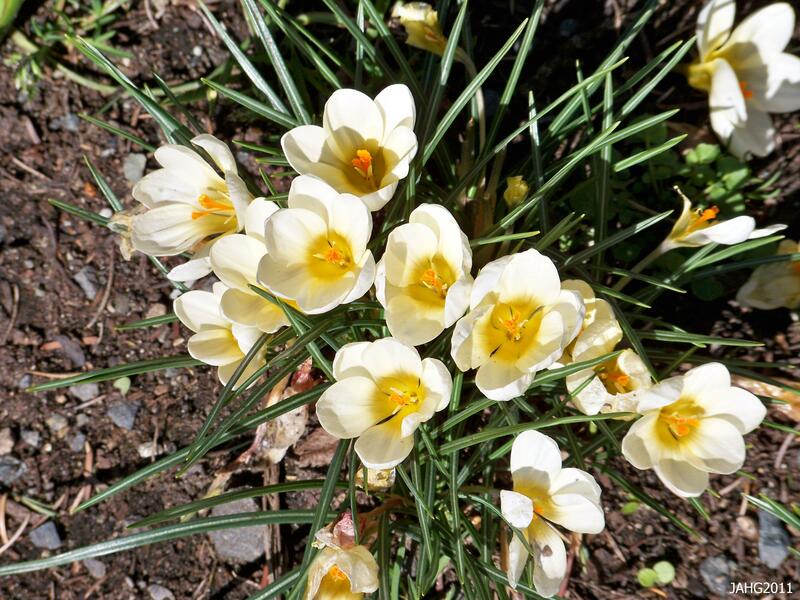 This winter has been remarkably hard for plants. 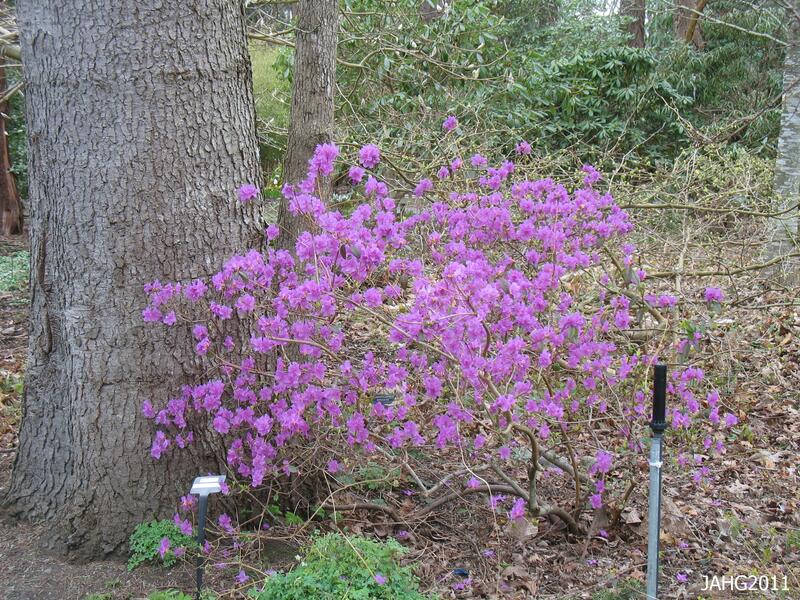 It started with a terrible and extreme cold snap in November before many plants had totally hardened off for the winter. 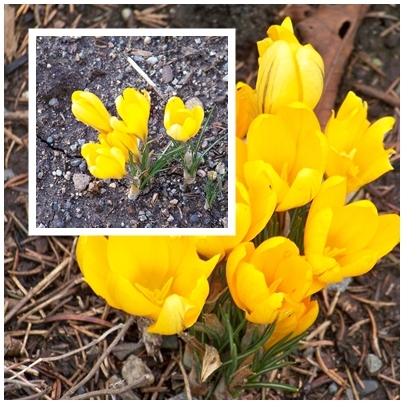 The problem at that time was the cold came before the snow which protects more tender plants. On Wednesday morning I woke up to look out of my bedroom window to see an unexpected snow storm had dumped a large amount of snow. The cold came with winds the next day, but many plants this time are protected with a blanket of snow. 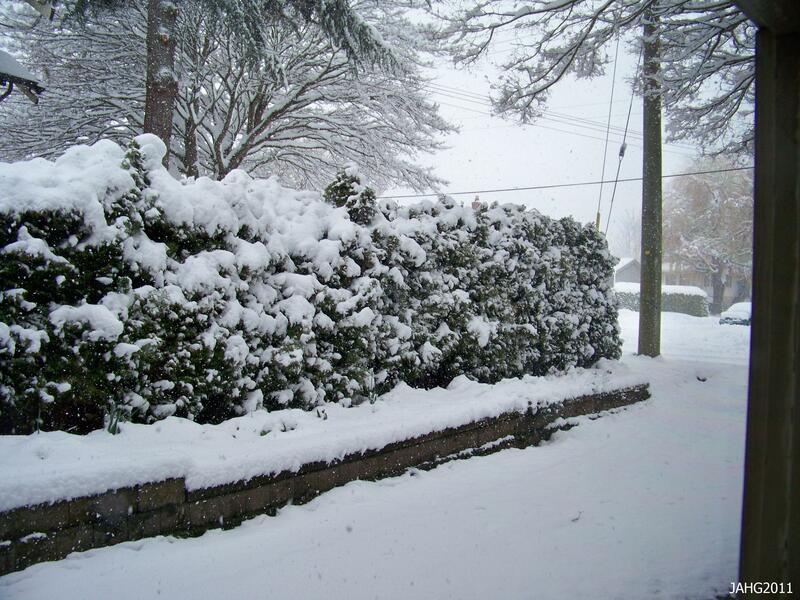 By the time the snow stopped for the day there was about 30cm.(1ft.) on the ground. A surprise morning vision of white put a crimp im my plans for the day. In the afternoon there was even more snow and I and many others had started to shovel out paths and sidewalks. Trucks were up and down salting streets. The winds had picked up and with the strong breeze can the chill factor overnight. The temperature dipped down to -6 c. (20 f.) but the wind chill was -16 c (3 f.), an all time record for this time of year. With the roads being in dangerous condition I decided to stay at home until Friday afternoon. By that time the melt was on and snow piled high in parking lots. Damaged Cotoneaster foliage is browned from the cold winter weather. 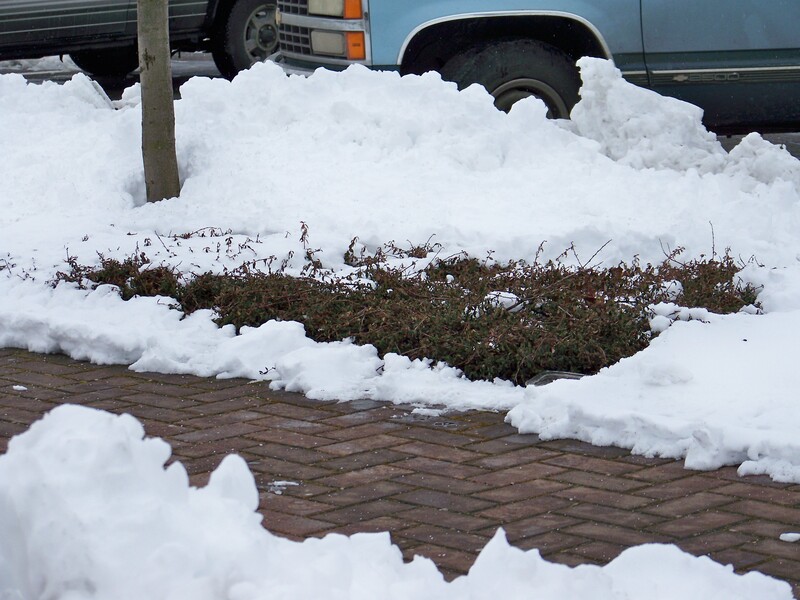 The piles of snow can take a while to melt and during that time damage the plants that are covered by it. 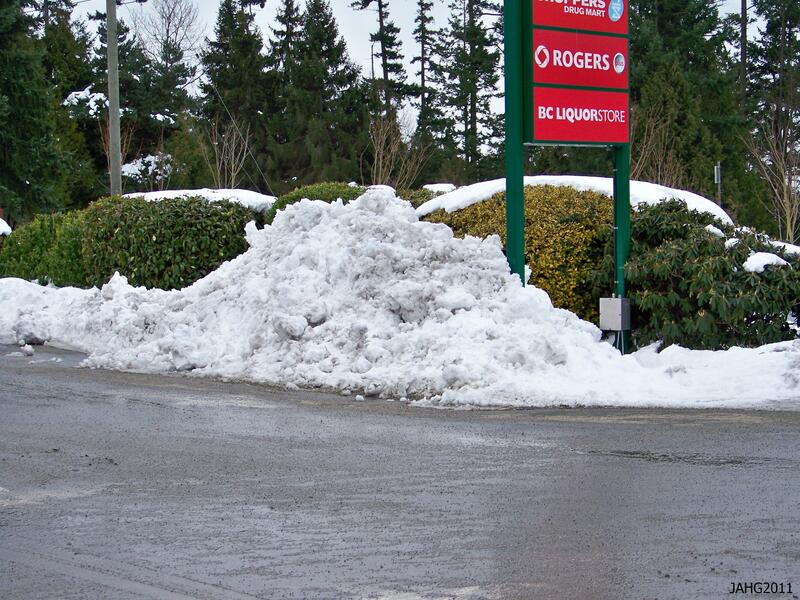 This is particularly true in the large parking lots where snow is not removed and is just pushed out of the way. I wonder how long it will take to melt this pile of snow? I know this year has been cooler already that last year. The buds on the Climbing Hydrangea by the gate were expanding and I was checking to see if the Forsythia was ready to bloom yet. 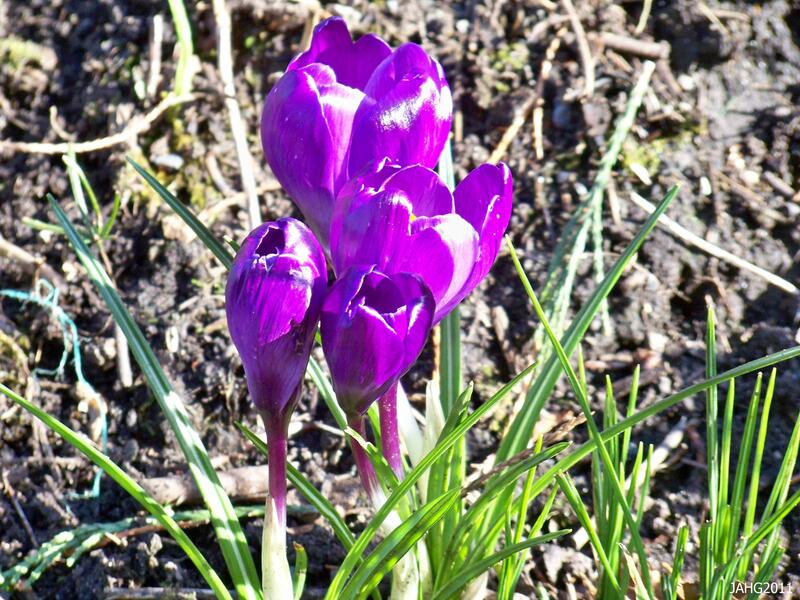 Last year at this time were well in advance in the garden. The same day we got our big snow this year the Forsythia was fully in bloom last year. 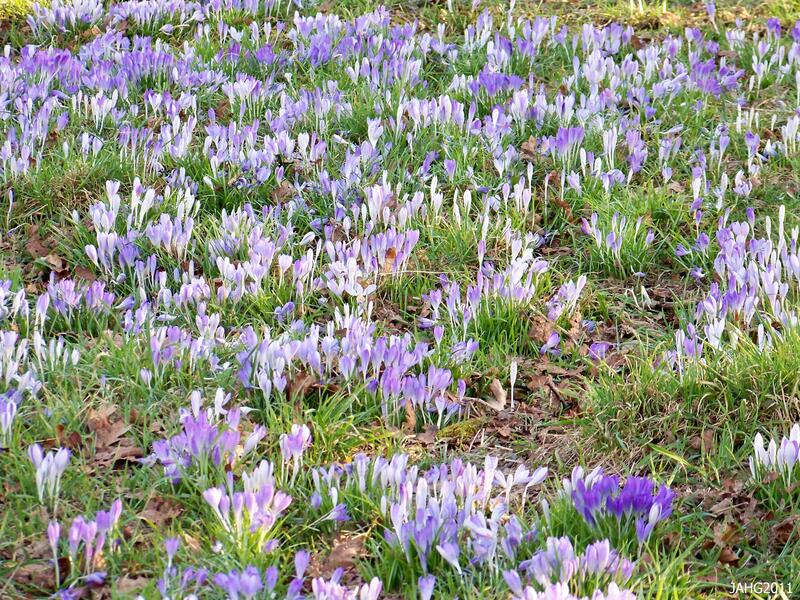 The Annual flower count starts March 1st and lasts until the 7th here every year, it should be a challenge this year to find the billions which are counted every year.Last year they had a record number. There is more inclement weather forecast for tonight and the rest of the week. This years famous Victoria Flower Count should be way down from other years. I mainly worry about those plants that made through the first cold in November and have now been hit again. 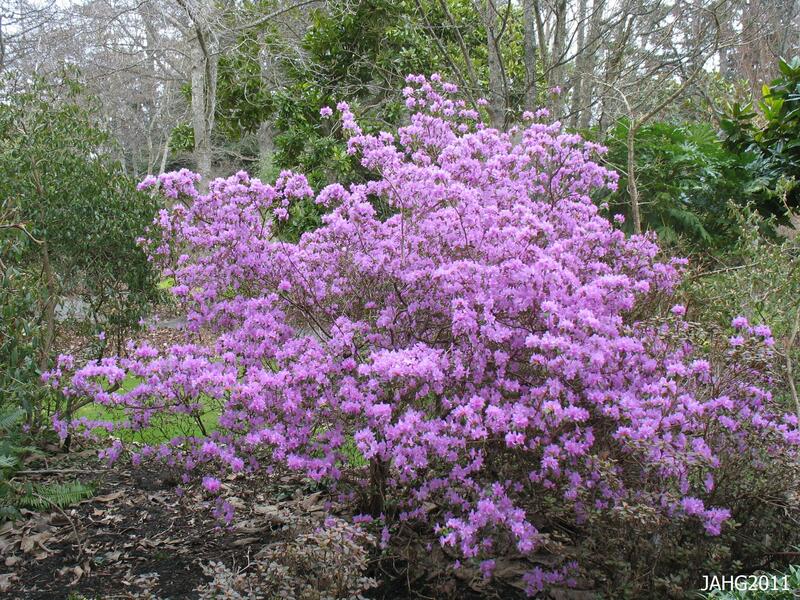 The damage to broad-leaved evergreens is especially apparent with many of the larger leaved Rhododendrons looking sad . 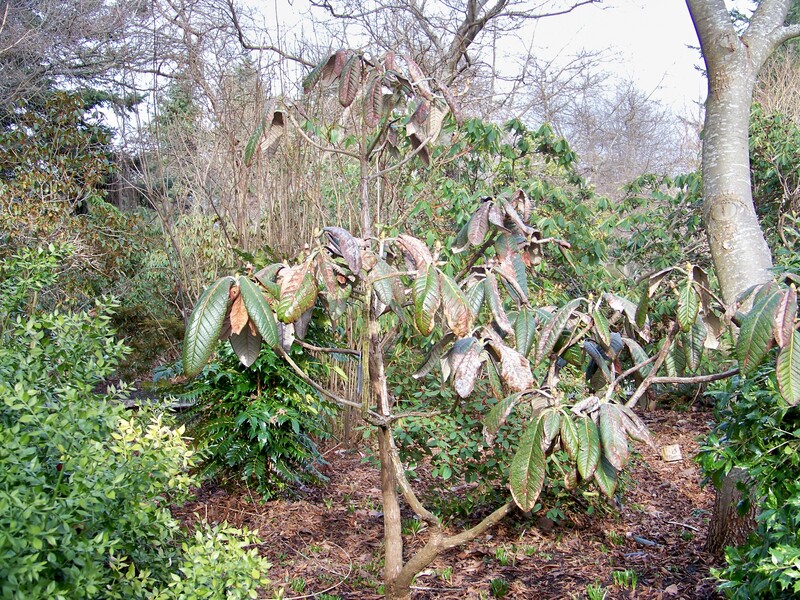 Winter damage on the large-leaved Rhododendrons at Finnerty Gardens as seen in January. The forecast for tonight is possibly more snow and the roads will be slippery in spots for sure. We gardeners are always trying to push the boundaries of what we can grow in our area, here it is more tender and tropical plants people want in gardens. When we have unusually cold snaps like this it reminds us how lucky we are that it does not last for more than a few days at a time. The Best of Both Parents. Sometimes I have to come back to review a plant and sometimes I like to look more closely at a group of plants. It is often the case that i have found another member of group whether it is a hybrid or completely new species. In this case it is because I see more of the species that I am seeing planted, which is a very good thing. 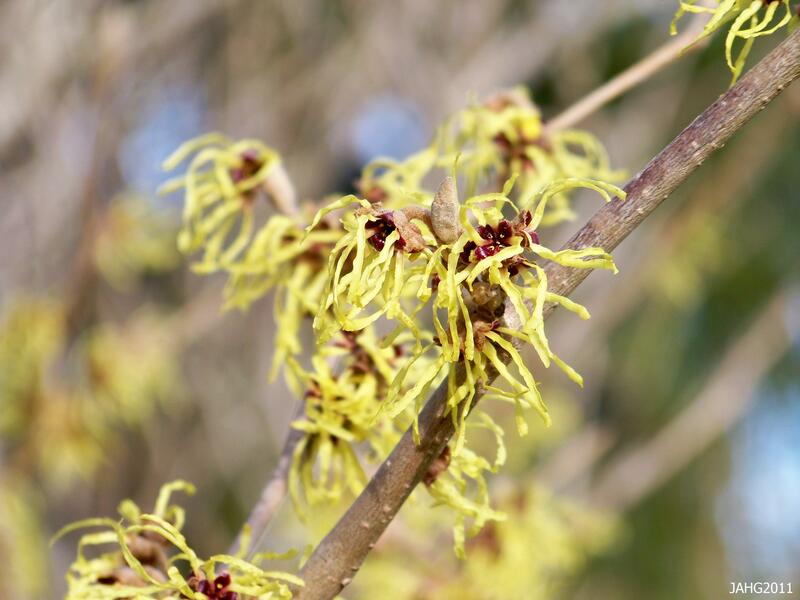 I am particularly taken by the Hamamelis species which is one of the first plants I learned when I first went to Horticulture classes many years ago and was the very first plant I wrote about in this blog. 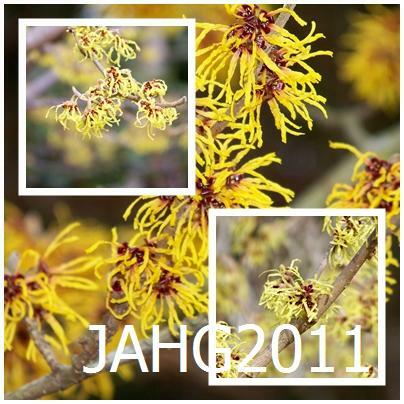 Today I wish to look at Hamamelis x intermedia ‘Pallida’ and ‘Arnold Promise’, 2 of the best yellow forms of Witch Hazel around. On the upper right is Hamamelis x intermedia 'Arnold Promise', on the lower left is H x i. 'Pallida' and in the background is parent Hamamelis mollis. The group Hamamelis x intermedia is a natural crossing of the Chinese (mollis) and Japanese (japonica) species. In named forms this has happened far from where they might meet in the wild, usually in plant collections. 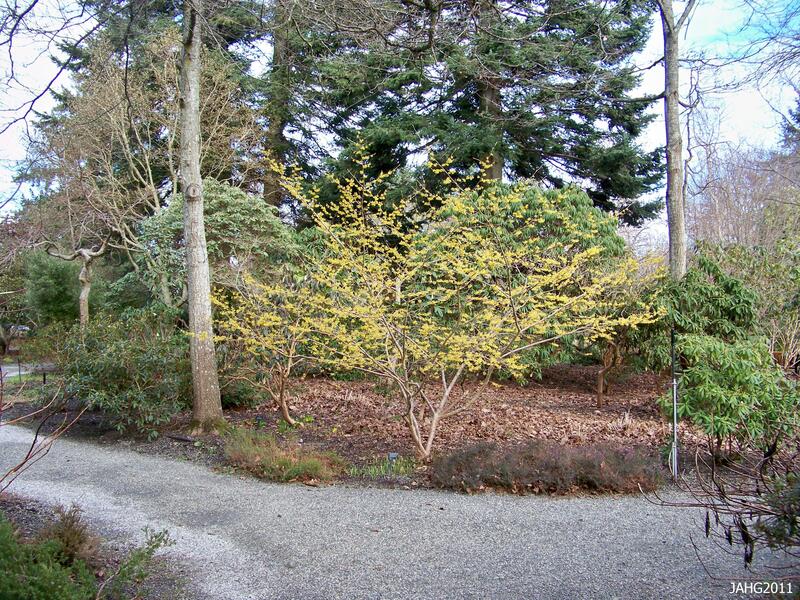 In the case of Hamamelis x intermedia ‘Pallida’ it is likely to have occurred at Kalmthout which was a nursery in Holland where the seed came from. The seed was germinated and the seedlings were grown for some years and carefully watched. Different color variations were seen and named around 1932. 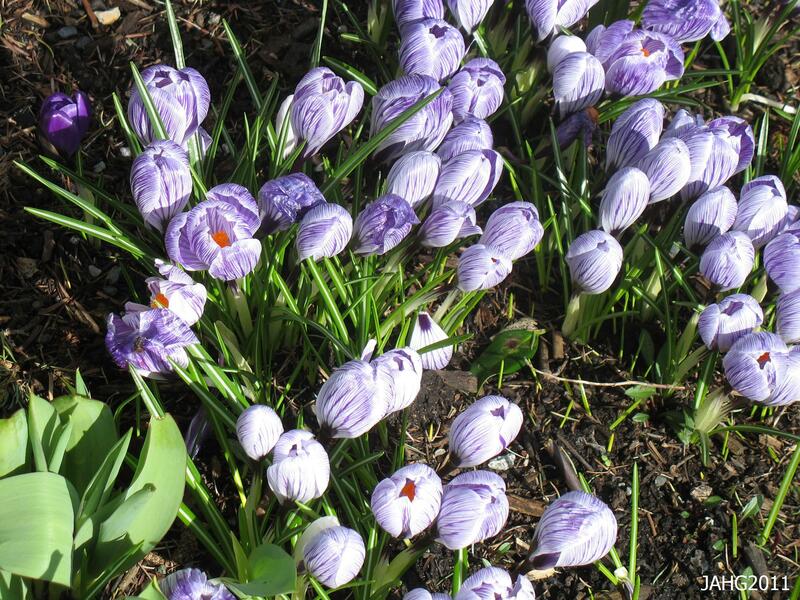 The original plant still is located at Battleston Hill in Wisley and must be quite a slight at this time of year. Hamamalis x intermedia ‘Pallida’ has a pale yellow color and a pleasing cirtusy-spice scent. Finnerty Gardens has several Hamamelis x intermedia including this group located near the main entrance near the chapel. The specimens of Hamamelis x intermedia ‘Pallida’ I have seen flower extremely well and have large flowers which show up well in the dark background the often grey skies and evergreen trees here. Hamamelis x intermedia 'Pallida' flowers are beautifully colored and delicately scented on this cool sunny day. 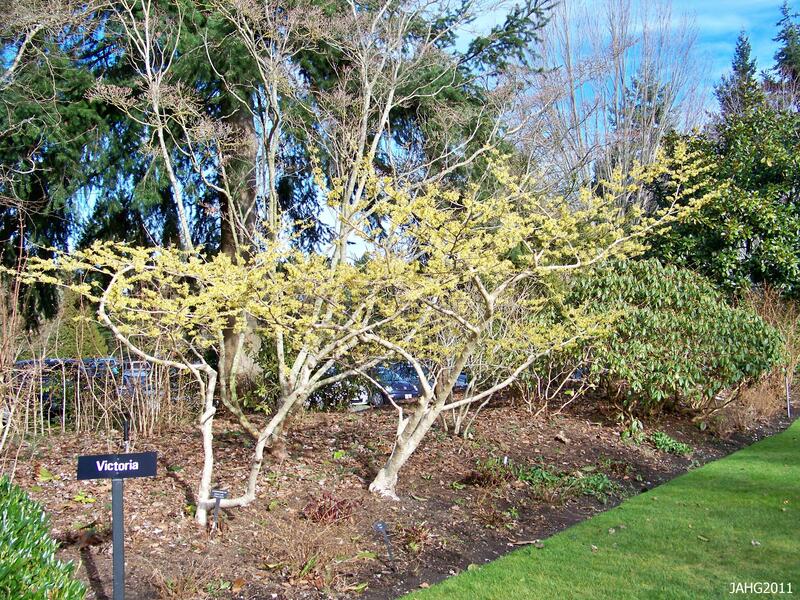 Hamamelis x intermedia ‘Arnold Promise’ is another chance cross which occurred at the famous Arnold Arboretum near Boston, Massachusetts William Judd, propagator of Arnold Arboretum collected seed from a Japanese Witch Hazel which was at the arboretum and germinated in around 1928. He assumed at the time it would be pure Hamamelis japonica plants. 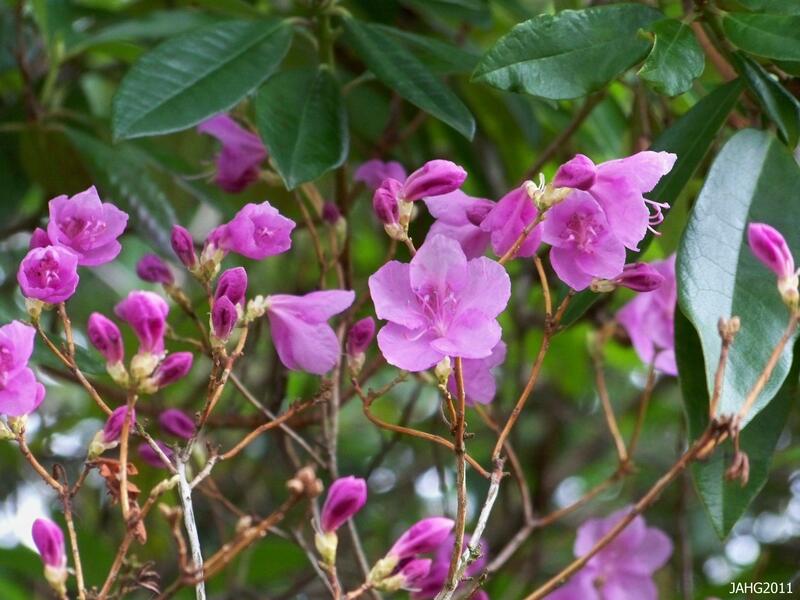 Later it was realized that the seedlings were in fact a cross between a mollis plant which was nearby and the japonica. 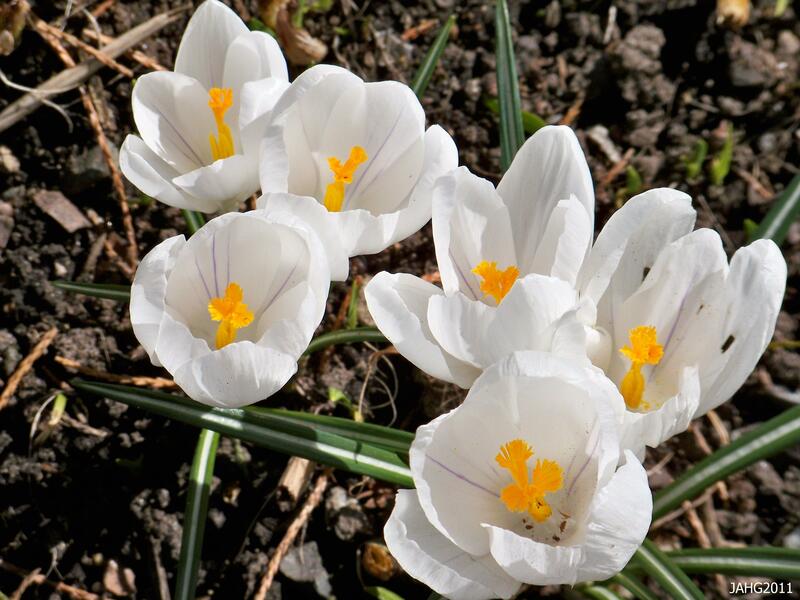 The original seedlings were grown on for a number of years until they started to flowers and selections were made. 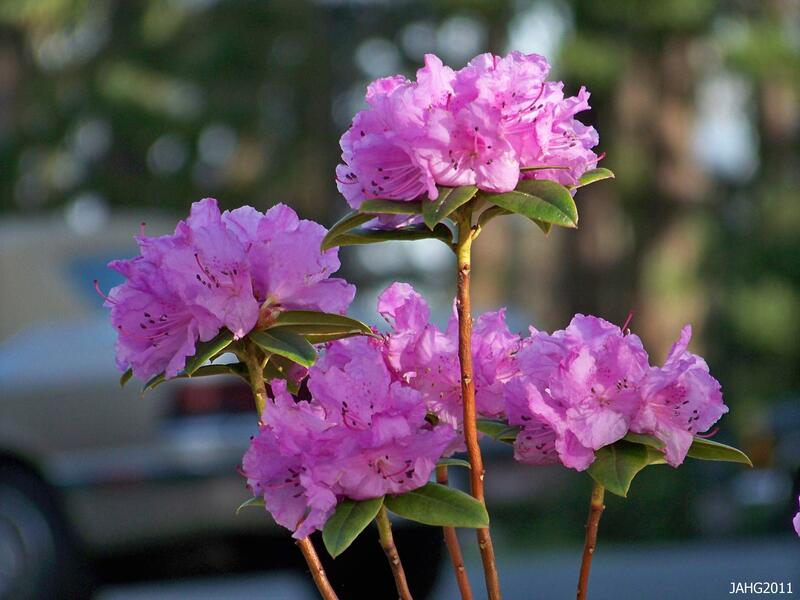 Several plants were named and ‘Arnold Promise’ was named and proved to be the best of the bunch. In 1963 the plant was released by the Arboretum for sale to nurseries. This Hamamelis x intermedia 'Arnold Promise' is perfectly placed at Finnerty Gardens to draw your eyes to the end of the path where it intersects with another. 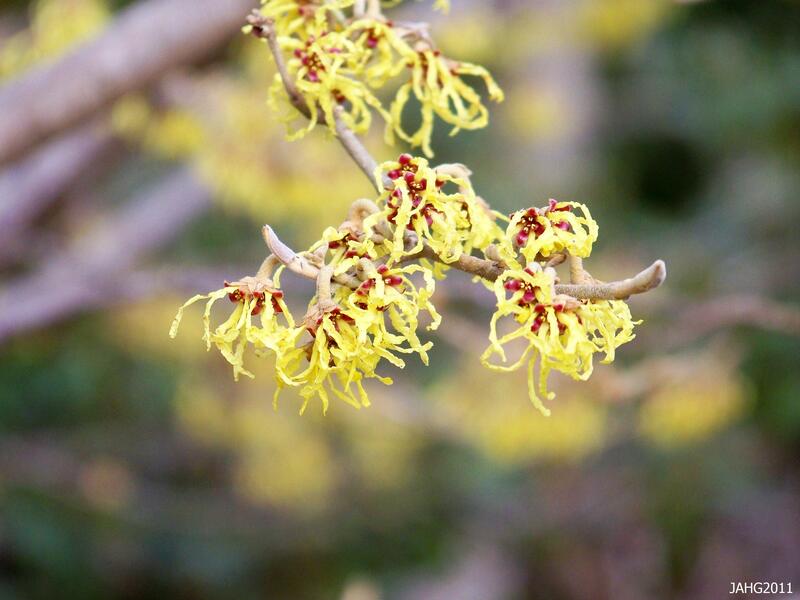 Arnold Promise Witch Hazel has a slightly darker flower than ‘Pallida’. The main difference which I see in the 2 plants is the way they grow with ‘Pallida seeming to be more horizontal branches and Arnold Promise having a more vase shaped ascending branch pattern. On the day I photographed both of these plants it was cool and crisp with a good wind and the scent of the flowers was not strong. Hamamelis x intermedia 'Arnold Promise' has a delicate coloring and scent and is beautiful in this deep winter month. Both ‘Arnold Promise’ and ‘Pallida’ are becoming more popular as are all the Witch Hazels. 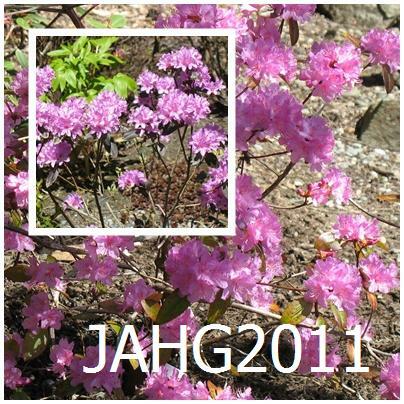 These are wonderful and adaptable plants which can be used in a variety of ways to increase the pleasure of your garden. As mentioned they are fragrant, on warm days there is no more pleasing aroma I know of to encounter, the citrus-spice scent is warm and inviting. 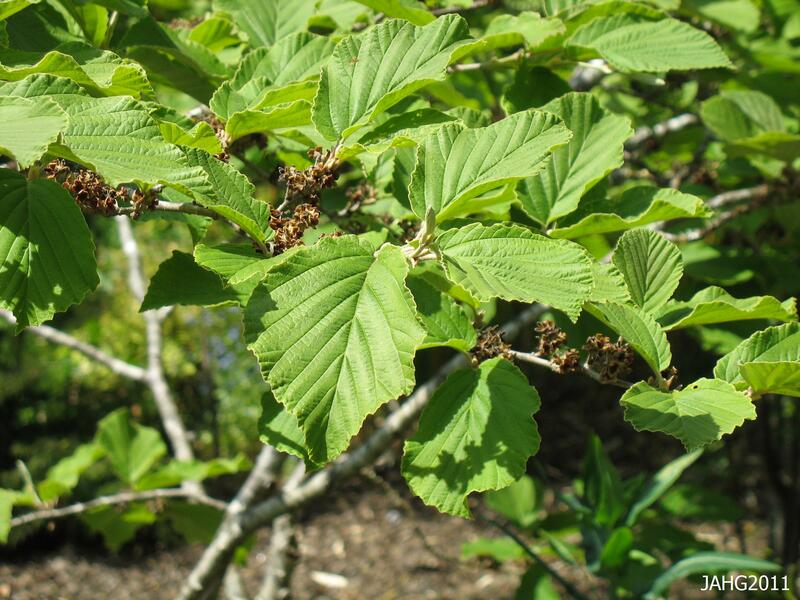 The foliage is attractive and similar to that of Corylus (Hazelnut) with broad green leaves which turn shades of butter to gold and tints of peach in autumn. The seed pods are also interesting on the bare branches during the early winter. The attractive leaves and seed pods of Hamamelis. 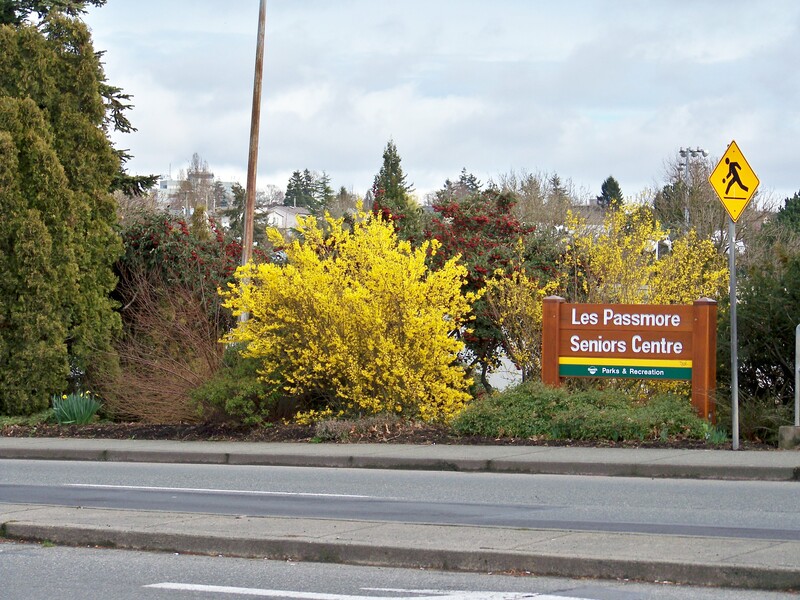 All Hamamelis species are woodland plants and like to have rich humus well-drained soil. they need deep watering to promote a good widespread deep root system to help sustain them during drier times. They prefer a dappled location which offers some protection from strong summer sun. 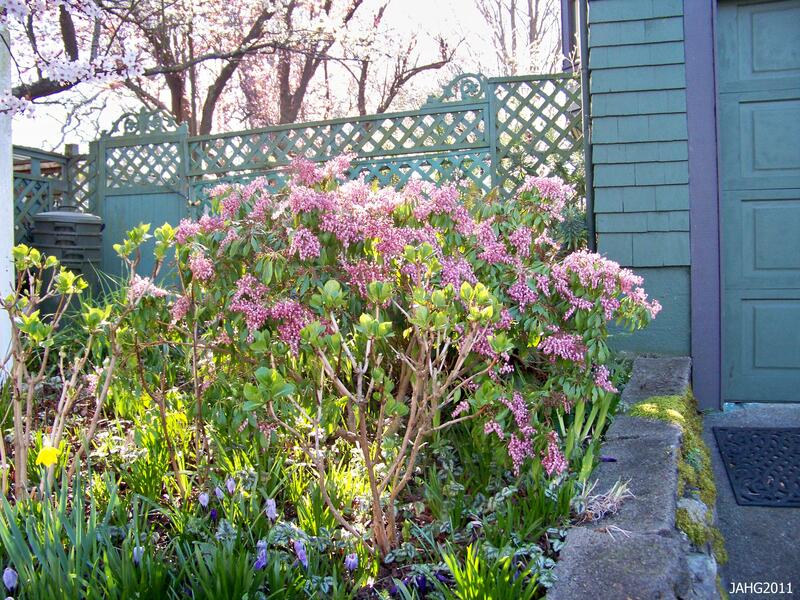 These plants have low widespread branches and should be carefully placed so little pruning is needed. These 2 hybrids grow to the same size 4m(13ft.) heigh by the same wide. All named varieties are grafted or budded onto usually less attractive species plants and suckering from under the graft should be removed when seen. Both of these hybrids are rated at tolerating temperatures down to -25c (-13 f.) or zones 5 through 9. These are pest and disease plants which are long-lived and will give you a lifetime of enjoyment. ……..Hope to see you soon on a bright cheery path near here……..